Organizations interested in applying are strongly encouraged to discuss their project with the President/CEO prior to submitting an application.  This can help determine if the project meets the basic eligibility criteria and is consistent with Four County Community Foundation’s program interests. Foundation staff cannot assess or comment on an applicant’s chances for approval. The Foundation reserves the right to request additional information about the organization, the project, and added financial details. Project Description Summary: A one-sentence summary of your project that addresses a community issue and provides a measureable and achievable outcome. Request Amount: The requested amount is an exact amount you are seeking from 4CCF as described in your project budget. Do NOT round up. The request amount should be less than or equal to the Total Project Cost. Total Project Cost: The total cost of your entire project may or may not be different from your Request Amount. Number Served: The number served is an estimate of the number of people your project will affect in the first year. Project Start Date: Since it takes up to 30 days after the grant deadline to disperse information to reviewers, coordinate meetings, and receive Board approval, your project start date should be at least 30 days AFTER the grant request deadline. Project End Date: Your project may take a day or a year. State the proposed Project End Date. Your Final Grant Report will be due 60 days after your Project End Date. Age Group: From the drop-down menu, choose the most appropriate age group for your project. Gender: From the drop-down menu, choose the most appropriate gender. Most projects affect BOTH. Geographical Area Served: From the drop-down menu, choose the most appropriate geographic area or school district. Program Area: From the drop-down menu, choose the program area that best describes your particular project. Collaboration: Describe all collaborative partners who are stakeholders in your project and/or agencies that are providing funding. Evaluation of Success: When evaluating the success of your project, focus on why the project is important to the community. Read your Project Description essay. Think about your key outcomes. Are they quantifiable and objective? It is not enough to state that you will measure success by student excitement or the construction being completed. For example, it is NOT enough to state you will measure the success of a Senior All-Night Party by the students having a fun-filled evening. Think about key outcomes; the tangible reasons regarding student safety that make it important to host a Senior All-Night party. Again, why is this project important to the community? You will want to refer to your key outcomes when you are writing your required Final Grant Report. ATTACHMENTS: The following documents will need to be attached as PDF’s in order to complete your request. Project Line-Item Budget: A budget includes all revenues and expenses, and is not just a wish list of items and prices. Provide two estimates for expenses if you are requesting an amount greater than $1000. Screen-shots of catalog pages are not acceptable. Project Complete Description: Communicate clearly and precisely about the what, where, when, why, and how of your project. Use clear, objective language to describe the community problem and how your project will address or solve the problem. Describe what will occur as a result of your project. Designate two or three key outcomes or changes that will result from your project’s activities. Describe how you will measure and record your outcomes. If it cannot be quantified, do not consider it a key outcome. Always keep in mind your eventual goal. Every activity in your project should be evaluated on how it helps you achieve the ultimate goal. Official Signature: An official is someone authorized to approve the project and the grant agreement. This may include a principal, superintendent, officers of a non-profit agency, or a governmental supervisor. The official signature includes acknowledgment that the proposal is accurate and in compliance with your organization’s policies. Upload a document that includes the signature and acknowledgement, the official’s name, title and contact information. Attaching a document from the official stating the project title that includes the above information is acceptable. IRS Form 990 or 990 EZ: Public schools and government agencies are exempt from this requirement. IRS Tax-Exempt Determination Letter: Public schools and government agencies are exempt from this requirement. List of Board of Directors: Include an up-to-date list of your non-profit’s Board of Directors. Public schools and government agencies are exempt from this requirement. Again, if you have questions or concerns regarding your project, please contact our office before you write your grant or submit your request. The staff is happy to offer information on whether your project request has reasonable chance of receiving funding. Staff can offer advice on what should be included in your project description, and how you might evaluate success.